I can't believe it's been two weeks since I last blogged! I meant to blog at least one more time before I left for Napa a few weeks ago, but between finishing packing, getting the house ready for my absence, and getting work ready for my absence, I ran out of time. I am a notorious last minute packer and I was up until about 1 a.m. the night (morning?) before I left packing and finishing up a few last minute things, so needless to say, a blog post did not happen. I hope that you were able to follow my journey a little bit via my Instagram and Facebook photos and posts! I will be re-capping my Napa adventure in several posts, as there is so much to share! 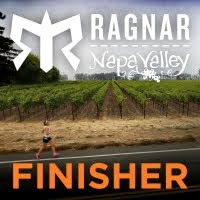 It was an incredible, life-changing adventure and I am still in my Napa Ragnar withdrawal zone, so thank you for letting me share my adventure with you. In the days leading up to my departure, one of the things I was finishing up were some gifts for each of my Ragnar teammates. I wanted to bring them each a little something from me and after mulling over a few ideas like reflective slap bracelets (a play on my contest entry as well as a solid accessory for our nighttime legs) or something quintessentially St. Louis, I settled on little notebooks for them to document their Ragnar adventures. I also included a Cardinals pen for a little touch of St. Louis. Inside each notebook, I included a little note from me along with my contact info for post-race correspondence, some of my favorite quotes, and questions or comments to jog their Napa memories (funniest moment, best costume, etc...). I loved how they turned out and it was really fun to give them to my teammates upon their arrival in San Francisco. On Wednesday, the 17th, I worked for a few hours and then headed home in the early afternoon, as my Mom was picking me up to go to the airport. We stopped to pick up Subway for an early dinner and then made our way to the airport. We had a direct flight into San Francisco, which was nice. I started to get really sleepy while waiting to board the plane, which I guess is to be expected after several late nights tying up loose ends. I figured I could catch some zzz's on the plane since I was traveling sans kiddos for the first time in about 7 years. I tried to take a little nap on the plane, but I guess I got a second wind, because I couldn't sleep for the life of me. I tried counting backwards from 100 and when I got to 0, I started counting forward. I eventually gave up, because I think the excitement was winning over my exhaustion. On the plane and ready for another fantastic Mama/Daughter adventure! Once mom and I got settled in our room, I headed over to say hi to Melissa and Erin since they were still awake. It was so awesome meeting them in person! We have been getting to know one another all summer on our Facebook page and I really felt like I had known them forever, but it was wonderful getting to hug them in person. I should have warned everyone that I'm a hugger, but no one seemed to mind! Jodi arrived a little while later, so I popped back over to her and Melissa's room to say hi and we chatted for a bit before heading to bed for the night. We had planned to meet at 8:30 the next morning for a shakeout run across the Golden Gate Bridge, so we needed our BAMRR sleep! We met in the courtyard the next morning and I got to meet Kim, Kelly, and Jen Lewis, who were just as sweet and funny as I imagined. I volunteered to be the navigator to the Golden Gate Bridge, which was a bit of a mistake since I was taking pictures and Instagramming more than I was navigating (which is ironic considering my later role as navigator in Van 2). We got to the parking area near the bridge early and took the opportunity for some photos. A lovely bridge worker pulled up just as we started to navigate taking photos and selfies on our own and he was kind enough to take several (and I mean several) photos of us with all of our different cameras and phones. As we were taking pictures and taking in the scenery, we all kept commenting on how we couldn't believe we were in San Francisco and that we had to pinch ourselves to believe it was true. As we set out across the bridge, we were chatting away and enjoying the view. It was what I imagine is a quintessential San Francisco morning, a bit chilly (but muggier than I expected) and foggy. I stopped for several photo opps and to just generally soak in the experience. It was about a mile and a half each way across the bridge, so we got in a good 3 mile run. After our shakeout run, we headed to Noah's New York Bagels to grab some breakfast. Mom and I stopped to do a little shopping because I saw a book for the boys in one of the local bookstores on Chestnut Street. We all freshened up a bit after breakfast and I said goodbye to mom as she set out on her own California adventure. Then the girls and I headed to Fisherman's Wharf for some sightseeing. We visited some of the shops, ate at Boudin Bakery for a delicious lunch (tomato soup in a sourdough bread bowl), saw the Sea Lions at Pier 39, took some photos from afar of Alcatraz, and visited the Ghirardelli Gift Shop (and scored some free samples!). It was so much fun sightseeing with the girls and spending some quality time with my van mates Jodi and Melissa and bonding with Kelly, Jen, Erin, and Kim since they were in Van 1 during the race, so I didn't get to see them as much. See a pirate on Fisherman's Wharf, give him a kiss, right? The back of Van 2; the BAMRR team consisted of the mothers of 28 kids in total! We had a quick team meeting before we headed to dinner and we welcomed Smitha to the hotel, as well. Two things stuck with me that Dimity said during the team meeting. The first was that we were not to utter the words "I'm slow" the entire weekend, which I loved. She reminded us that we were here to have fun and enjoy the adventure. I did mention after my first leg that my pace was off and my teammates were quick to remind me to not mention it, which I appreciated. Thanks, girls! The second thing Dimity said was to bite your tongue. She said that there will likely be a point when you are exhausted and someone will say something that will bother you, but it is only because it is 2 a.m. and you are functioning on little to no sleep, so hold your tongue. 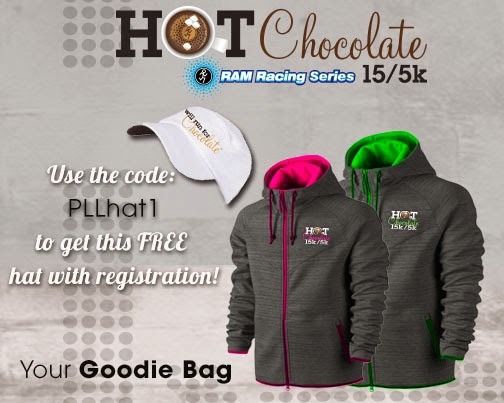 I will say that we didn't need to worry about that advice, but I thought it was very sage advice for this type of race! We luckily didn't have any moments like that, but we did tease each other a few times to "bite your tongue" just to make each other laugh. We walked to a great pizza place that was near to the hotel for dinner on Thursday evening and we made sure to split up so Van 1 people and Van 2 people were evenly mixed for more bonding time. I sat with Jen Lewis, Kim, Erin, JMart, and Sarah. We shared a bottle of white wine, two delicious salads, and two equally delicious pizzas. I also had quinoa for the first time (it was in one of the salads) and oh my, it was delicious! I'm going to have to try making it on my own, because I really enjoyed it. After dinner we headed back to the hotel and Jen shared with us some delicious cake pops and cupcakes that she made for us (her Ragnar entry was an amazing cake with many awesome layers, including a lifelike tutu layer) and we helped Van 1 get their cooler filled with ice as they had an early morning wake-up call. Our team's start time was 5:30 a.m. the next day, but Van 1 had to be at the start line by 4:30 a.m. for the mandatory safety meeting. Van 1 made plans to leave the hotel at 4:10, so we wished them good luck for their first legs and told them we'd meet up with them at the first exchange later the next day. We also packed their non-running essentials into our van since we would have time the next morning to drop off those items at Kate's house before we had to make our way to our exchange point. Smitha and I shared a room on Thursday night and even though we were both exhausted (she had come to California nearly a week early to sight see with her husband and two girls and they had even been "glamping" in Yosemite), we stayed up until nearly midnight chatting and getting to know one another. I loved chatting with Smitha; she is hilarious and gave me great advice about her Sparkle Skirts and whether or not I should run a marathon someday. She votes yes and sweetly offered to come run it with me. We shall see! I will leave tonight's post there and continue tomorrow with the story of the actual race itself, which I might have to break down into two posts based on my verbose post tonight. If you are antsy for more Ragnar tales, please visit the Another Mother Runner page here, as all of my teammates and I have submitted a photo and a short, 200 word or less summary of our race. It was wonderful to read the recaps from my teammates and re-live our adventure (I miss you all terribly and am looking forward to our reunion). Melissa from Van 2 (my van) and Kelly from Van 1 joined Dim and Sarah on the AMR podcast this weekend, so check that out, as well, by clicking here. I can't wait to listen to it; I've been saving it for my next run! "We were born to be awesome, not perfect."